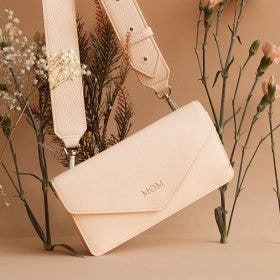 Made to wear in companion to your favorite work bag or on its own as a leather clutch, the Large Pouch is a versatile design that can store all you need while on the move. 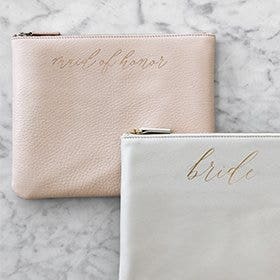 Two interior pockets help keep smaller needs tucked away, while a main compartment is the perfect size for your phone, keys, and a small wallet. Looking for something travel friendly? 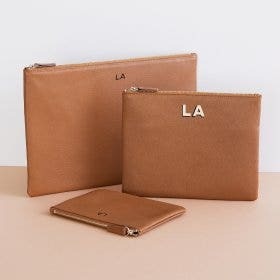 This leather zip pouch is the perfect size to store travel documents and itineraries while en route. Rose is our take on a soft, petal pink. Subtly feminine, we were inspired by all things soft and romantic for this color. The purple pouch I purchased is wonderful. I use it all the time with carrying paperwork, etc when going to meetings, etc. I’ve received several compliments!! It’s wonderful to be able to take all I need in one unit- so professional! 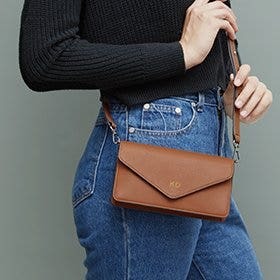 This pouch is beautifully constructed and an excellent size - and the leather is supple and beautiful. I think if makes a splendid gift. 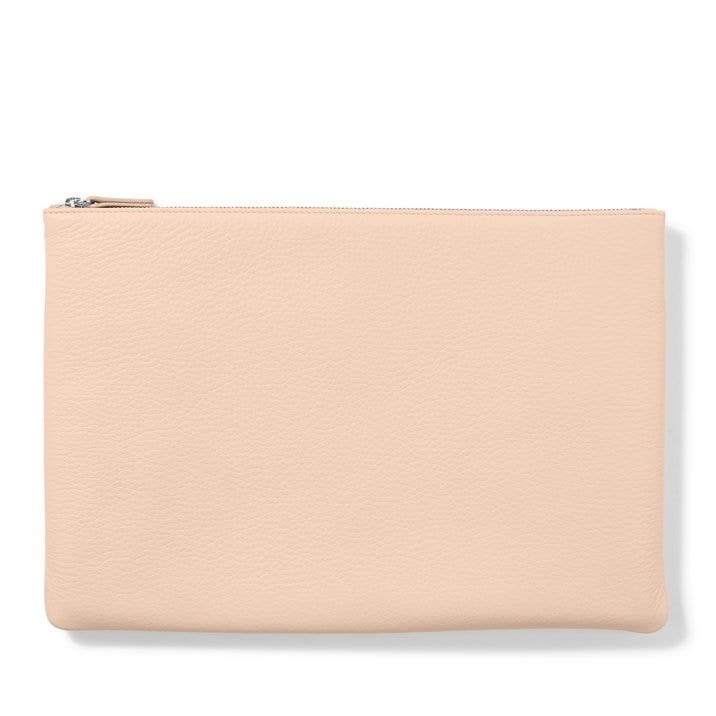 This clutch is perfectly designed with gorgeously dyed supple leather. Very soft leather - - would purchase again. The order came in an acceptable amount of time, and packaged beautifully as always. I have other pieces in the orange color so I knew I would be satisfied with that aspect. My only wish is that it was a bit longer and deeper for my purpose. I need it to carry other items. Overall the piece is very nice and I will keep it. 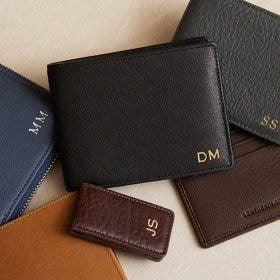 I was also looking for a wallet that had security features but Leatherology does not offer those type of pieces; I had to go elsewhere to purchase. 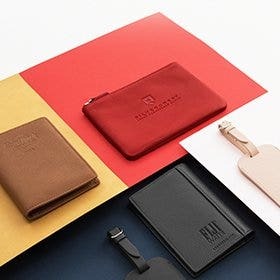 Why use a manilla paper envelope to hold special cards and letters (etc) when you can have a classic leather zipper folder in a standout Yellow Sale Value folder.These pastels that are offered are certainly ways to brighten your life! I am extremely impressed with your leather products and the delivery of these items! 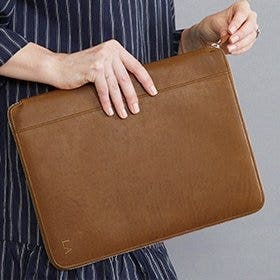 I ordered a leather pouch for my iPad that was too large. I then returned it with no problem and reordered the size I needed. They arrive in very nice boxes and in a timely manner. I bought the large orange pouch as a gift. When it came, it was presented well in a lovely gift box. I opened it to see the product and was so happy with the quality the gift. I had also had initials put on it and that also looked quite nice. The gift was a hit and it was used right away for a long trip. I wish that someone would give ME a gift like that. It was great and I was quite pleased. 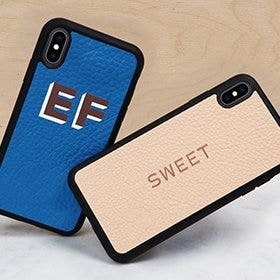 Thank you Leatherology.